B) They are pollinated by flies. 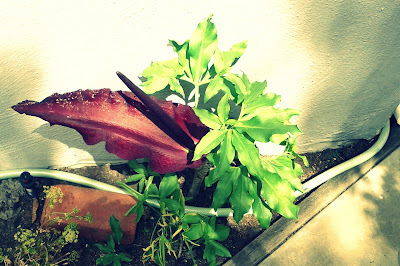 C) The plants give off an odor like rotting meat to attract said flies. D) Once the flower has been pollinated, it wilts and gets ready for seed production. Do you wish you had these in your garden? Info on Voodoo Lily found here. 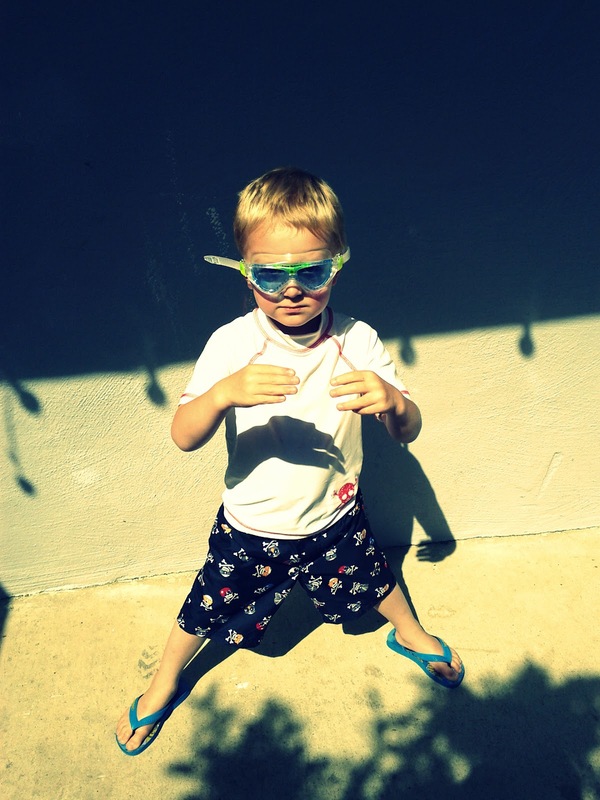 I am throwing in a picture of my son (at a non-stinky time) right before his second swim lesson. I am not quite sold on the new style of goggles for kids. Blake loves them.